23. Geliştirici Günlüğü Bazı Nedenlerden Dolayı Eklenmemiştir. 24. Geliştirici Günlüğü Bazı Nedenlerden Dolayı Eklenmemiştir. 25. Geliştirici Günlüğü Bazı Nedenlerden Dolayı Eklenmemiştir. 26. Geliştirici Günlüğü Bazı Nedenlerden Dolayı Eklenmemiştir. We’ll start our Runemaster dev diaries from an artistic point of view. This group of diaries will discuss things like scenery and character design, and and explain our thinking behind the races, worlds, heroes etc. in the game, as well as relevant lore for each of these. Our Lead Artist, Fredrik Toll, and Senior Lore Developer, Sara Wendel-Örtqvist, will be co-writing these dev diaries. Most of these will appear later, but for the moment I want to focus on the general artistic thoughts about the game, and some of the challenges we have faced in conceiving the project. From an artistic standpoint, Runemaster is a whole new level of challenge for Paradox Development Studio. We need to create much more content than we have for any other game we have ever made. The amount of and level of 3D-modeling and animation is breathtakingly large for us. With Runemaster we have no historical reference to rely on, and, therefore, we have had to create lots of concept art in order to create a world from our own imagination. The game writing is a challenge of its own, as a role-playing game demands a lot more writing and a much different kind of writing than our previous titles. One of the first and most obvious challenges we set for ourselves is staying true to Norse mythology. Many of our players will, no doubt, be somewhat knowledgeable in this lore, and will not fail to mention when we make mistakes. But sometimes you have to make choices that are consistent with the lore, but still deviate in places, and we will try to explain these where we can. Despite its familiarity to many people, historic sources for Norse mythology are not numerous. The existing texts, legends and myths have been interpreted and speculated about for a long time but we have nowhere near the number or variety of sources and materials available for, say, document-rich Greek or temple-rich Egyptian myth. The Poetic Edda and the Prose Edda, written in Iceland during the 13th century (after the Christianization of many Viking leaders and communities), are the main sources of medieval skaldic tradition in Iceland and Norse mythology. So our approach is to always start out on what we can find out about Norse myth from these texts and try to fill the gaps as best we can with what makes sense in the world we imagine, consistent with what we understand about Viking lore. One advantage of few text sources is that at least there are fewer chances for contradictions! Norse mythology and the Vikings are tightly bound together, and Runemaster is set in a very Nordic environment. Runemaster, however, is not a game about Vikings. It’s an RPG set in Norse mythology, and is equally a game about Humans, Trolls and Giants. With six races and six worlds, we want to give each their due. The Humans in this world are Vikings in many ways, but do not expect them to adhere to the roaming and pillaging way of life. These are mythical humans in mythical setting. When designing anything there is also the challenge of being original. We want things to look new and unique, because everyone want something fresh. But there’s always a limit when you are dealing with terms and worlds that people already know. If you have Elves of any kind, and refer to them as Elves, you need to make sure people recognize them and not make them too different from what people are familiar with. This is the challenge when designing anything which people are already acquainted with. ; you need to balance familiar settings with original ideas. If it’s too familiar, it’s unoriginal; make your world too unique and it’s just weird. Obviously for our historical Grand Strategy games, references are not an issue. All you need to do is Google a bit (though that is not always as easy as it sounds). In Runemaster, we have to come up with most things on our own. That gives us lots of freedom, but also presents some interesting challenges. There are tons of fantasy realms, games, books and other media that have been inspired by Norse mythology, so we can take a look at them and see how they did things. At the same time we wish to make something new and not draw too much inspiration from other games, especially. So we set our reference point from what approaches authors of similar settings have taken and then see where we can push - always aided by the historical texts and artifacts we have come to rely on at PDS. One of the primary artistic inspirations for the Runemaster artstyle is John Bauer, a Swedish artist from the turn of the last century. Over his very short life, he became famous for drawing and painting mystical forests, fairies and trolls in a unique style. We like the feeling John Bauer manages to convey in his paintings, that of a deep, dark forest full of mystery. It also captures the feel of the Nordic landscape. We are no strangers to game writing, since our other titles containing massive amounts of text. But our other games have demanded less of us than Runemaster will. Instead of events and decisions, Runemaster has quests and a narrative and the quests have to make sense in the context of that larger ongoing story. Every single playthrough of one of our grand strategy game creates a story, but it is one the players create themselves. In Runemaster, the writing is on a whole different level, with greater authorial direction. Instead of using the historical background and setting to build a stage for your own personal story of conquest, it is up to the game writers to deliver a compelling adventure that we hope you will want to play over and over. Runemaster, as a fantasy RPG, is expected to have a main story, quests, NPCs with personality and a believable world. The events in most of our grand strategy games are based on historical events and happenings, they are there to provide a little more flavor to the game. Runemaster’s quests and main story, however, are the gameplay in many ways, making the writing a large part of the game experience. One of the great challenges of Runemaster is to provide the player with a game that is replayable, since this is a core value of all of our games. So we have to create an overarching narrative with a feeling of consistency from several races’ point of view and quests that change with every decision the player makes. In future dev diaries we will go into greater details about each of the playable races, their units and Heroes, their culture and character designs. We will also discuss other topics related to art and lore. Next week, we’ll talk about the main story of the game. RPGs or role-playing games rely heavily on stories to create a compelling and immersive world. Runemaster is no different but as we are making the game, we are focusing on creating quests and a world that changes with the player’s choices and actions. We take much inspiration from Crusader Kings II’s narrative and storytelling, in that it is the player, not the game, that should create and tell a story. We will make sure that the worlds we create are inhabited by interesting people who you can interact with, do quests for or maybe fight. There is a greater limitation in making a story for a RPG than a grand strategy game, and we need to rely more on the imagination of the game- and quest writers than we have previously done. Quests differ a lot from events and are both more complex to make and to write. Those of you who have played CKII and has come upon the event serie Gate of Hell, imagine that but several times longer, more complicated and perhaps even more interesting. Then you’ll get one of Runemaster’s quests. Even a game as purely random like Nethack has a story. It has a goal of obtaining the Amulet of Yendor, but nothing else. The story is in your mind as the mechanics fit together to form a story of unexpected encounters. The Witcher 2, on the other hand, has several minor quests that you might not even think is a quest when you take action. In one region of the game you are able to either aid a couple of guards who are looking for elves or help the elves escape. Your choice of action will affect the game in a small way; if you save the elves you will be approached by someone later on in the game who will thank you and give you a small reward. The Witcher 2 is filled with things like that. It also has a great story with several different paths through it, and depending on which you choose you’ll experience a whole other story. We intend to take it a step further and make sure your every choice will impact the game in some way. Each race has its own place in the six worlds of Runemaster. If you are a Human or a Troll, you will start in Midgard. Lightelfs have their home in Alfheim, while Dwarfs and Giants dwell in Jotunheim and Darkelfs reside in Svartalfheim. No matter which race you begin as, you’ll work your way through the game to learn about yourself, the worlds and the threat that lurks at the horizon. Your choice is quite simple, and depending on which race you choose to start as, you will try to free Loki, unleash Ragnarök, see the old world drown and a new world dawn or fight Loki, prevent Ragnarök from happen and be the Hero who saves the world. You will perhaps change your mind, and as a Troll try to gain favor with Thor and prevent Ragnarök. That’s up to you. What will you do? There are no sidequests in Runemaster, every quest counts toward the goal at the end and even if you might not know it or realise it, the game mechanics will make sure that no quest is made in vain. Each quest is stored in a database and your choices and actions will trigger different ones. Some are more exclusive ones, perhaps designed based on your class or race, others will change marginally and offer up new options or path through depending on your traits or quests you have completed before. One example is the dragon Fafnir, who once was a Dwarf whose greed turned him into a black dragon. Multiple quests will bring you to him, but you will only see one per playthrough. The main quest has a quite simple goal: Either defeat Loki, prevent Ragnarök or free Loki and unleash Ragnarök. Each quest you do in Runemaster will bring you one step closer to the end. How you travel through it is up to you. Though the main questline will have anchor points, certain quests that are important for the storyline, they will differ depending on your choices. Are you a Dwarf, friendly with the Giants but hated by your own kind? Then the game will take notice, and make sure your quests will reflect that. We are working hard at weaving each quest into each other dynamically, and it will be a great challenge for us but a challenge we welcome and look forward to. Our team is growing and many talented people will work hard at making Runemaster compelling, immersive and fun. There’s always a goal with a story, an end that will bind together all the threads the writer threw out during the storytelling. Sometimes that end has a morality lesson, sometimes it is a great joke, and sometimes it is just an end to put an end to the story. Runemaster’s goal is quite simple, to entertain, to educate, and to be a great game. Our goal is to make a game with great replayability, where the story matters, where each quest matters, and depending on your choices and your path, it will split up into different outcomes. You already know what will happen at the end of Runemaster, but you do not know how to get there, not until you have played through the game. Welcome to the 4th developer diary for Runemaster. Today we will delve deep in the trait system, since you can’t have a role-playing game without traits and attributes. RPGs can take a number of different approaches to defining what kind of person the main character is. In some games, there is little choice in how your character acts, in others you can be either good or bad, and in some you have to decide on personality yourself and then make sure you act it out because the game light let you switch at any given moment. In Runemaster, however, we want the personality of your character to be formed by the decisions you make throughout the game. Runemaster is an RPG with an element of emergent storytelling, so our goal is to have the choices you make directly impact the quests you can embark on. The game’s procedural quest system will take note of your deeds and challenge you accordingly. The way you act determines not only what type of person you are, but also what personality traits you develop and what quests you get in future. (Would you hire a bloodthirsty murderer to save a wagonload of orphans?) One of the cornerstones of every Paradox Development Studio game is replayability, and the personality traits combined with the quest system will play a huge part in making every playthrough different. Are you always giving others the version of the truth that is most beneficial to you or are you telling them what really happened? Are you helping people for nothing beyond their gratitude, or does your assistance always come with a price tag? Do you walk bravely headstrong into any challenge, or do you make sure that the odds are heavily in your favor before attempting something dangerous? In Runemaster, we track your choices and map them onto a scale of different attributes, where each attribute has a personality trait at its extremes. This is an idea we’ve borrowed from Crusader Kings II, where characters can gain a multitude of different traits, each of which can dramatically change the entire game experience. In Runemaster we’ve cut the number of traits to eight and those eight traits are based on four different attributes. Each time you decide to lie, act bravely or spend all your savings on a big feast for the whole village, we add or subtract a value from the corresponding attribute. When an attribute’s score gets really high or really low, your character gets assigned a trait. Getting an attribute back to a normal range will remove the trait and your character might very well start off as an honest do-gooder and end up as a lying sell-sword after becoming disillusioned with the world. Changing from one trait to its opposite will take time though and could be compared to changing sliders in Europa Universalis III; it is a gradual process that might not pay off for you for quite a while. Why limited to eight traits? Traits will greatly influence the quests you get, the solutions available to you, and the type of options you get in dialogs with other characters in the world. We felt that too many traits would lessen the importance of each trait and that it would be better to have fewer distinct traits so we can work into making each of them affect the way you get to play the game. A thrifty and deceitful character will do anything the reach a goal and sometimes the goal justifies the means, so we have built the quest system to make these traits stand out more starkly than they otherwise would in a more crowded system. Since they are distinct cultures with distinct values, the different races in Runemaster view traits differently. As a human most people will respect you for being brave and honest, but Dark Elf society is different as being deceitful isn’t necessarily something bad. Putting your friends and family in jeopardy by telling the truth when you shouldn’t have is instead something that quickly could make you an outcast in many societies, where in others honesty is always the best policy. The trait system also makes it possible for you to shape the story you’re about to play. Perhaps your first game is as a craven Dwarf who spends all her coin on getting a host of Darkelves and Trolls to follow her, and then lies her way back into a Dwarf keep only to sack and plunder it. Maybe you’re playing as a thrifty and charming Troll Berserker who aims to make the current world a better place instead of gambling on the next? Every quests you undertake, challenge you face and choice you make will affect how your hero is perceived, what traits you will gain and what further adventures you will encounter. We at Paradox Development Studio have always believed in games that allow you to set your own goals and decide which tools you will use to reach them. All of you out there who have played our strategy games, especially Crusader Kings II and Europa Universalis IV, know that we want you create your own story, and recognize that there are always choices and everything you do has consequences. With our tactical RPG Runemaster, we want every single playthrough to be a new saga where you as a player have the freedom to choose your path. As a bonus, a portrait of the human berserker! Welcome to developer diary 5 for Runemaster where we focus on combat attributes! As you should know by now, Runemaster will focus on your hero in the quests and on the main map - but when the battle starts, your hero will be moved from the world map and into a battlefield when you encounter enemies. The battles of Runemaster will be turn-based, tactical battles based on a hex grid system. There your Hero joins his/her army and take active part in combat as a unit on the battlefield. And there are several combat attributes that govern how well the character performs during combat. Health controls how much damage a unit can take before being removed from the combat. Armor is used to prevent damage and piercing removes armor. Ranged units are usually weak in melee. Magic damage is used to control the effects of a lot of aggressive magical abilities and magic resistance protects against magic damage. Discipline makes units hold their ground longer before breaking and falling back on the battlefield and terror makes units break faster. The system is built such that we can create different rock-paper-scissor scenarios where some units (such as units with high armor) are best countered with other types of units (units with high piercing). Modders should be happy to know that traits and attributes are fully scriptable and there’s no limitation in the number and types of attributes. There are triggers and effects that manipulate attributes and traits that can be used to control quests and dialog. So, that was a teaser on the combat attributes for your hero and units. We will definitely delve more in this subject further along the development, rest assure! Talk more next week. 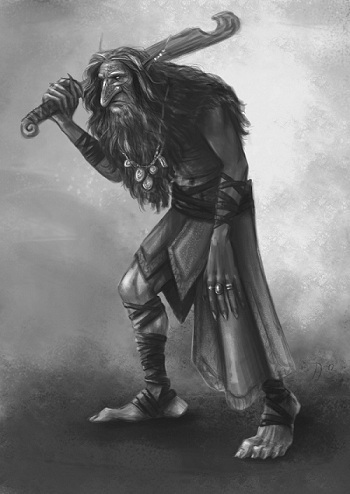 An early concept of a Troll in his prime years. 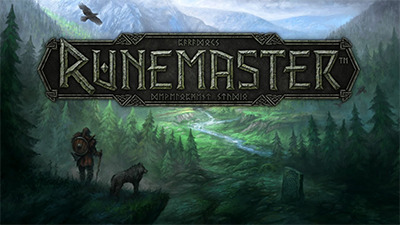 Welcome to the 6th developer diary for Runemaster. Today we’re going to tell you more about exploring the worlds in the game. Details on each of the different worlds will come in future dev diaries, so today we’ll just focus on how the world is generated and how you explore it within the game. We’ve said before that our worlds are procedurally generated, but what does that mean? Initially, we made a procedural landscape made of mountains, plains, highlands and ocean, and we simulated rainfall and placed rivers, swamps forests and arid areas accordingly. Cities, bandit camps, iron mines, farms and other locations were placed based on factors like the availability of fresh water, proximity to the ocean, presence of mountain passes and more. The result was cool, and it could have looked good if it wasn’t done with programmer art and random assets from CK2, but didn't work for the game we wanted to make. We’re making a role-playing game, not a grand strategy game, and while we had some control over the gameplay aspects of this world, we didn't have enough. It wasn't an easy decision, but, as the saying goes, sometimes you have to kill your darlings, be it in writing literature or making software. So making a “realistic” world wouldn't give us the world we thought we needed, but what did we really need? What are the design goals of a Runemaster world? First of all, we needed a world that would support our quests, especially our main quest line. This means one that is plausible, that works with the quest arcs and that has the right sizes and distances to have the quests make sense. Secondly we wanted to be able to create memorable locations that allowed for exploration - we want the worlds to vary because that’s important for replayability but each playthrough has to create something meaningful in regards to the setting. And thirdly, we wanted to be able to control the flow of the game in some way. The world generation needed to be consistent in creating the worlds we wanted. Every player needs to get a world that gives a great gaming experience! The current system starts out with a graph of different regions. That graph is scripted and selected specifically for each world depending on what race you play. A Human and a Troll starting in Midgard will find different versions of Midgard. The graph contains a lot of variations that can differ for each play-through so you won’t get the same regions in every game, but race selection will be a major variable in what is generated. Once the graph is set, we place the regions generated by the graph into the world and make sure they’re connected to each other. This process has a high level of randomness, so the world will be different even starting from the same graph. Then, each region lays out its content, such as cities, NPCs, guard units, Runestones or large glowing crystals. A region can create a natural harbor and build a fishing village inside it or raise a mountain and place an hermit Troll on top of it. At the start, the world is unknown to you and there’s only one way to unveil its secrets. You have to travel the lands and meet its inhabitants, see its monuments and plunder its riches (if your character fancies riches, that is). Some places are connected by roads and others you have to reach by moving through forests, spiky rocks or along the shore of a poisoned lake. Every player will have to do some exploring, even if it just means going wherever the quests tell you to go, but if you find exploration interesting, there will be areas that are more hidden and off the beaten path of the main quest. Here you will find side quests, lore, loot or just an unexpected encounter. This will be especially true for the worlds in which you didn't start your journey and you’ll choose which you’ll delve deeper into. As an explorer you have to be on your watch, though, as areas have different levels of difficulty. If you walk too deep into the forest, the hostiles you encounter might be too difficult for you. We feel that this is an important part of exploring as it gives you choice. If you run into a band of high level Lightelfs, do you turn back, find a way around or are you good enough of a tactician to take them on even if the odds are stacked against you? It also means that you can come back later to fight your way through something that felt like an impassable wall when you and your army were weaker. The region graph and the individual regions are all scripted and moddable. As a modder you’ll be able to control most parts of the world generation and configure how the different regions look and function. Now you have a brief introduction to how we build our world! Stay tuned for more Runemaster information next week. Welcome to the 7th developer diary for Runemaster where we will talk about Loki and Thor and the struggle between Change and Stability! The main plot in Runemaster revolves around where you as a player try to decide whether to trigger the end of the world as you know it or postpone it for as long as possible. You will choose who to side with - Thor or Loki. When mighty Thor’s brother Balder died by the machinations of the trickster god Loki, Thor swore he would do all he could to make sure Loki would not be able to escape his punishment. Loki was fettered to a stone slab with the entrails of his son Narfi, and a venomous snake was placed above him whose teeth drips poison onto the fettered god. Loki’s wife Sigyn is the only one who stays at his side, with a bowl in her hands which she uses to collect the drops of poison. When the bowl is filled and she leaves to empty it, the pain when the droplets eat into his skin makes Loki howl in pain and writhe upon his stone slabs, making the earth shake with each of his tremblings. Thor, the Thunder god, son of Odin and wielder of Mjölnir stands for Stability and wishes to avoid Ragnarök. The worlds his father Odin created from the flesh of Ymir together with Vili and Ve are not to be changed in any way, for better or for worse. Ragnarök will bring destruction and death upon all the worlds, and only a few will be left alive to mend the worlds again. It is better if the current order is kept. Keep Loki fettered forever and there will be no Ragnarök, no change, no pain and no destruction. The gods will remain as the rulers and protectors of the worlds. Loki, the Trickster, the Chaos god, Odin's blood brother, is bound to stone slabs with the entrails of his son Narfi and he must be released in order for Ragnarök to happen. The Norse mythology paints Loki as a troublemaker, a trickster, the chaos god that can both help the gods but also put them in difficult positions. Loki stands for Change and sees the truth of the worlds - that the gods favor some races and ignores the plight of the rest. The new world is a chance to change the current order and shape it so that every being is equal, in both gods’ and other’s eyes. Ragnarök is necessary, and inevitable. All you can do is accept Change, for better and for worse. The death of many gods during Ragnarök will leave the races able to determine their fate without the gods meddling. Runemaster is not about the struggle between Good and Evil, it is the struggle between Stability and Change. If Ragnarök occurs, the old world will be destroyed but a new world will arise. Change is not evil; it is only change which can be both bad and good. Same with Stability. Stability is accepting the old world and doing nothing to change it. Stability is set in its current ways and have no desire to change, no matter how bad the current tracks are. Change might not always be good, but it will always take you forward and you decide whether Change is good or bad. In the end, you will reach the choice where to fight Thor, free Loki and make sure Ragnarök happens in order for a new world to take the old ones' place or fight Loki, bind him firmly to his stone slabs and make sure Ragnarök will not happen. Yeni RYO(Rol Yapma Oyunu)'miz Runemaster'ın ilk geliştirici günlüğüne hoş geldiniz. Ben Johan Andersson, Paradox'un Stüdyo Yöneticisiyim ve size bu oyunu tanıtıp, hakkında haftalık bilgi verecek olmaktan mutluluk ve gurur duyuyorum. Çocukluğumda Commodore 64 bilgisayarımda kendi oyunlarımı yapmışlığım vardır. Pek çok değişik oyun üretmiştim ve arkadaşlarımla birlikte bu oyunları oynayarak çok eğlenmiştik. Her zaman Genel Strateji(ç.n. Grand Strategy/CK2, EU4 vb. Paradox oyunları.) türünden oyunlar ve harika bir RYO yapmak istemişimdir. Şimdi, yirmi yıl boyunca oyun yapma işinde çalıştıktan sonra gönül rahatlığıyla birkaç tane güzel strateji oyunu ürettiğimi söyleyebilirim. Oysa güzel bir RYO yapmak nasip olmadı, ve inanıyorum ki Runemaster bu güzel RYO olacak! Bazılarınızın bildiği gibi, Paradox olarak işe Target Games'in bilgisayar oyunları üreten kanadı olarak başladık. O dönemde Target Games kağıt & kalemle oynanan eski usul rol yapma oyunları üretmekle meşguldü ve aramızda hala o günlerden kalma kişiler var. PDS olarak sadece bir grup strateji oyunu tutkunu değiliz. Aynı zamanda RYOlara da aşığız. Öyle ki, World of Warcraft'taki birliğimiz sayesinde yıllar boyunca aşırı eğlendik ve ne zaman yeni bir Bioware ya da Bethesda Rol Yapma oyunu çıksa yemekte bu oyun hakkında dedikodu yapacağımızdan emin olabilirsiniz! Bütün bunlar bir araya gelince, takımımızın konudaki engin deneyimlerini rüyalarını gerçekleştirmek için kullanma konusunda ne kadar heyecanlı olduklarını görebilirsiniz. Peki, Runemasterla neler yapmak istiyoruz? - Taktiksel unsurlar barındıran ve her defasında yepyeni bir destan yazabileceğiniz gerçekten de yeniden oynanabilen bir RYO yapmak istiyoruz. -Altı harika Nors Diyarı'nı keşfedip, kendi Viking Destanı'nızı yazabilmenizi istiyoruz. -Paradox'tan beklediğiniz gibi zevkli bir oyun üretmek istiyoruz. Runemaster'ı Özel Kılacak Olan Nedir? İlk olarak, Nors Efsaneleri'nden esinlenilmiş 6 zengin Dünya'nın keşfi. Her Dünya rastgele üretileceği için bu özellik başladığınız her oyunun kendine özgü olmasını sağlayacaktır. 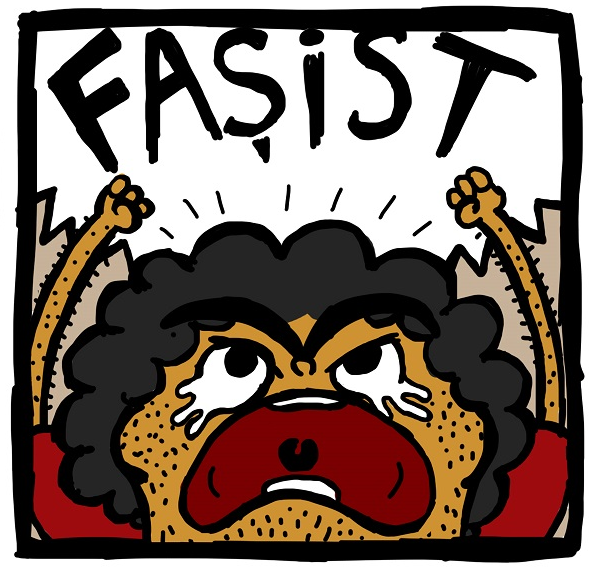 İkincisi, Taktiksel Savaş sistemimiz. Yükseklik ve Arazi Özellikleri, değişik birim çeşitleri ve değişik seçenekler sayesinde size harika bir savaş zevki tattıracağız. Son olarak, değişken hikayeler dediğimiz sistemin yepyeni özelliklerini ortaya çıkartacağız. Yaptığınız seçimler, çıktığınız yolculukları doğrudan doğruya etkileyecektir. Haftaya, Runemaster'ın sanatı ve mitolojisi hakkında konuşacağız! Runemaster'daki Irklar. Soldan sağa Cüceler, İnsanlar, Elfler(Ak ve Kara), Tiroller ve Devler. Resimdeki tarihe dikkat, oyunun 2 yıldan uzun bir süredir geliştirilmekte olduğunu gösteriyor. Torçlaytımsı bir oyun olacak sanırım. So will you choose to seek out change for those that crave it or will you aim to keep status quo - for good or bad? For this developer diary for for our upcoming RPG Runemaster, you don't have to choose. Because no matter what side you choose, you will have to fight. In order to win battles, you will have to recruit and customize your units and direct them in combat to make your army an invincible force. As you probably know by now, in battles your hero will be moved from the world map and into a battlefield when you encounter enemies. The battles of Runemaster will be turn-based, tactical battles based on a hex grid system made up of different terrains and contains height differences such as hills where your troops gain bonuses for high ground. Your hero will join the army and take active part in combat as a unit on the battlefield and the battles you fight will be tied to quests and their outcome will matter to your story. In this developer diary, I'll explain some of the basics of the combat system. Remember that we're still in an Alpha stage of the game and much of what you learn here can still change until release. Units move first and can then perform an action. Performing an action will end the activation for the unit. Attacks and abilities are considered actions. As a result you cannot engage in combat and then move away from the enemy. Attacks and many abilities requires line of sight to the target. Friendly units do not block line of sight, but hostile units do. This means that your spear throwers can stay back and fire at the enemy while being protected by your melee units, but they cannot fire at the enemy's spear throwers hiding behind their melee units. Most battlefields also have hexes that are blocked from movement and line of sight, such as large rocks, tents or larger structures like towers. Some abilities such as the Runemaster's Blocking Rune, can add temporary blockers to the battlefield to create choke points or to shield armies from line of sight from certain positions. Units consider all adjacent hexes as their zone of control. If a unit enters the zone of control of a hostile unit, their move will automatically end regardless of how many movement points they still have left. It's still possible to move through another unit’s zone of control, but only one hex each turn. This makes it easier to protect second line units from melee attacks by spreading out a couple of front line units. Some abilities such as the human cavalry unit's charge can ignore the zone of control and penetrate deeper behind the enemy's lines. The basic stat for a unit's survival is health. When health goes to zero or below the unit is removed from the battlefield. Many units also have armor. All attacks deal both health damage and piercing damage. Health damage damages health and piercing damage damages armor. A unit that has armor will not take any health damage until all armor has been removed. The attack that removes the last armor will deal 50% health damage as well. Some units are specialized in dealing either health or piercing damage making it important to combine different unit types to maximize performance of your army. Apart from dealing damage, most attacks also deal terror. Terror accumulates in a unit and each time new terror is added, the total terror + a die roll is tested against the unit's discipline to see if the unit panics. Panicking units will use one turn to move away from the closest enemy and the next turn to rally at the new position. Units recover some of their accumulated terror each turn. Armored units do not take any terror until they actually take health damage from attacks, but some abilities deal terror only damage and ignore the armor of the defending unit. Using height differences is one important tactical feature in Runemaster. Attacking a unit at a higher height gives the defending unit a defensive bonus, reducing all damage by 25% (this number has not been balanced yet) making it stupid to try to trade punches with a unit that has high ground. Attacking a unit at a lower height will give the attacking unit a terror bonus making it more probably that the defending units panic and flee. That's it for this weeks developer diary, hope you liked it. I'll be back in a later Dev diary to explain the more advanced combat features and the details that make units from different races act differently! Düzenleme: Profesyonel bir arkadaşımla çevirmeye başladım ama ne zaman atarım bilmiyorum. Değişiklik yapmayı mı seçeceksin, yoksa durumunu mu koruyacaksın – iyi ya da kötü? Yakında çıkaracağımız RYO, Runemaster için bu geliştirici günlüğünde seçim yapmanız gerekmiyor. Çünkü seçtiğiniz tarafın önemi yok, dövüşmeniz gerekecek. Savaşları kazanmak için, birimlerinizi eğitmek ve özelleştirmek ve ordunuzu yenilmez bir güç yapmak için savaşta onları yönlendirmek zorunda kalacaksınız. Muhtemelen bildiğiniz gibi, savaşlarda kahramanınız dünya haritasından düşmanlarla karşılaştığınız savaş alanına geçecek. Runemaster’ın savaşları sıra tabanlı, taktiksel savaşlar farklı arazilerden oluşan bir altıgen ızgara sistemine dayalı olacak ve bunlar tepelerde yükseklikten dolayı askerlerinizin bonus kazanması gibi farklılıkları olacak. Kahramanınızda orduya katılacak ve savaş alanındaki bir birim gibi aktif rol oynayacak, ve savaştığınız muharebeler görevlerinize bağlı olacak ve bunların sonuçları hikaye için önem arz edecek. Bu geliştirici günlüğünde, size dövüş sisteminin bazı temellerini açıklayacağım. Hala oyunun Alpha (Alfa) aşamasında olduğumuzu ve burada öğrendiklerinizin çoğunun çıkışa kadar değişebileceğini unutmayın. Birimler önce ilerler ve daha sonra bir eylem gerçekleştirebilirler. Bir eylemi gerçekleştirmek, o birimin aktivitesini sona erdirecek. Saldırılar ve özellikler eylemler olarak kabul edilir. Sonuç olarak çarpışmaya girip daha sonra düşmandan uzaklaşamazsınız. Saldırılar ve birçok yetenek hedefe görüş mesafesi gerektirir. Dost birimler görüş mesafesini engelleyemez ama düşman birimler yapabilir. Bu demek oluyor ki sizin mızrak atıcılarınız (Spear Throwers) yakın saldırı birimleri tarafından korunurken arkada kalıp düşmana zarar verebilirler. Aynı zamanda çoğu savaş alanı büyük kayalar, çadırlar ve kuleler gibi hareket edilemeyen ve görüş alanını kısıtlayan altıgenlere sahiptir. Runemaster’ın Engelleme Rünü (Blocking Rune) gibi bazı yetenekler şok noktaları oluşturmak veya bazı noktalarda orduları görüş alanında korumak için savaş alanı geçici engelleyiciler ekleyebilir. Birimlerin kontrol alanı olarak tüm bitişik altıgenleri düşünebilirsiniz. Eğer bir birim düşman biriminin kontrol alanına girerse, ne kadar hareket puanı kalırsa kalsın ilerleyişi otomatik olarak sona erer. Bu birim hala başkasının bölgesine hareket edebilir, ancak her tur bir altıgen olarak. Bu ikinci hat birimlerini yakın saldırı birimlerinden korur. İnsan Süvari Biriminin (Human Cavalry Unit) hücumu gibi bazı yetenekler kontrol bölgesini görmezden gelerek düşman bölgesinin derinlerine doğru ilerleyebilir. Bir birimin hayatta kalmak için en temel istatistiği sağlıktır. Sağlık sıfıra veya altına gittiğinde birin savaş alanından silinir. Birçok birimin ayrıca zırhı vardır. Tüm saldırılar sağlık hasarı ve zırha delici hasar verir. Zırhı olan bir birim zırhı giden kadar hiç sağlık hasarı almaz. Zırhı kaldıran son hasar aynı zamanda %50 sağlık hasarı da verir. Bazı birimler farklı birimleri birleştirip ordunun performansını maksimize etmek için sağlık veya delici hasarda uzmanlaşmışlardır. Hasardan ayrı olarak çoğu saldırılar korku da verir. Korku bir birimin içerisinde birikir ve ne zaman yenisi eklenirse, toplam korkuya + olarak eklenir ve birimin disiplinine karşı eğer birim paniklerse diye test edilir. Birimlerin paniklemesi onları en yakından düşmandan bir tur geriye çeker ve sonraki tur yeni pozisyonlarına döndürür. Birimler kendilerince her tur biriken korkunun bir kısmından kurtulur. Zırhlı birimler saldırılardan sağlık hasarı alana kadar korku biriktirmezler, ama bazı yetenekler savunma biriminin zırhını görmezden gelerek korku hasarı verir. Yükseklik farklılıklarını kullanmak Runemaster içerisindeki önemli taktik özelliklerindendir. Daha yüksekte olan bir birime saldırmak, yüksekte olan birimle yumruk ticaretine girmeyi deneyerek aptallık yapar ve savunan birime %25 oranında tüm hasarı azaltan bir bonus verir (Bu sayı henüz dengelenmedi) Daha alçaktaki bir birime saldırmak saldıran birime büyük olasılıkla savunma birimlerini panikleyip kaçıracak bir korku bonusu verir. İşte bu haftanın geliştirici günlüğünden bu kadar, umarım hoşunuza gitmiştir. Daha gelişmiş savaş özelliklerini ve farklı ırklardan gelen birimlerin farklı yapan detayları daha sonraki bir geliştirici günlüğünde olacağım! Daha pre-alpha ama genede bir şey olacağı yok bu oyundan. Bir de genel olarak sormak istiyorum 3 mesaj flood olur diye yazmadım. Diğer günlükleri de çevireyim mi? Konsola da çıkıyor diye mi ?